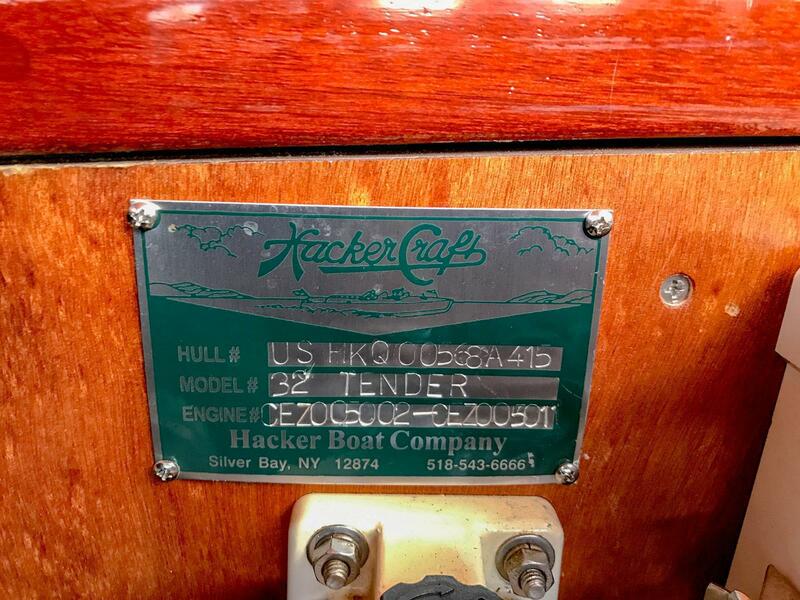 Hull Construction: Frames and keep are made from mahogany. 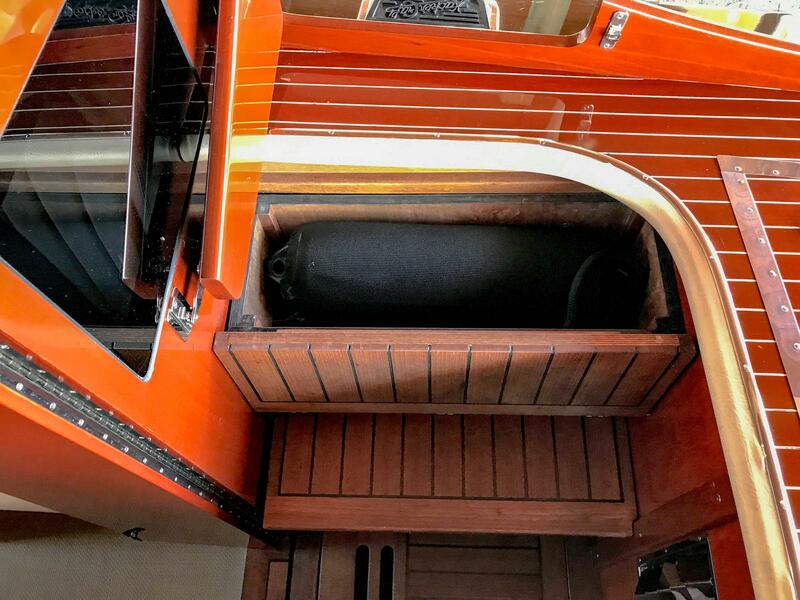 The interior hull including inner bottom, bottom frames, keel and chines are coated with Smith & Co.'s clear penetrating epoxy sealer and then painted in with bilge paint. 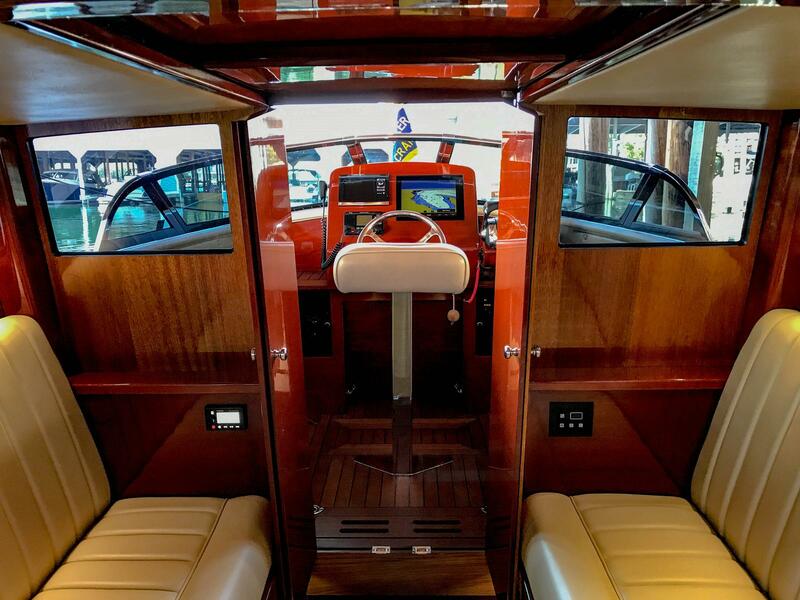 There are two intermediate frames between each set of main frames. 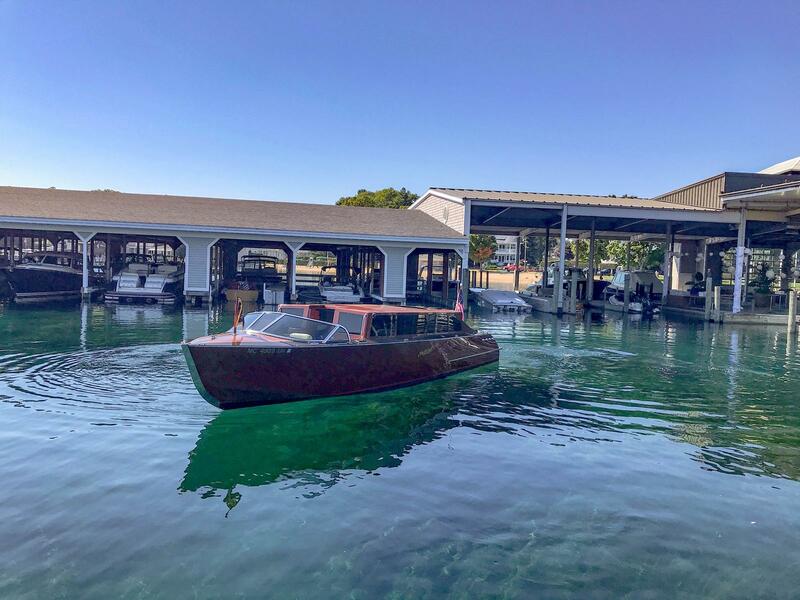 The bottom is triple plank comprising of two layers of 5.2mm Certified marine Grade (Lloyds BS1088) Okoume plywood and one layer of 1/2 inch mahogany planking laid fore and aft with WEST System brand epoxy between each layer. 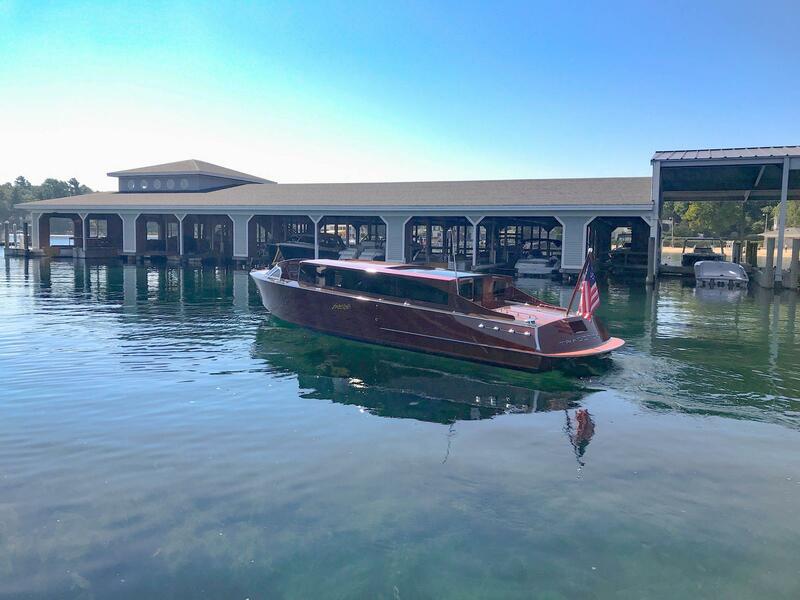 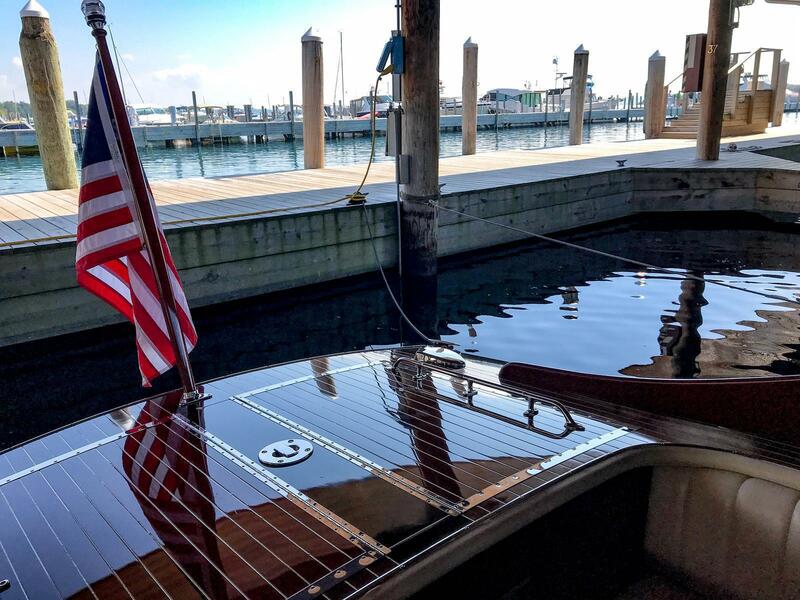 Sides & Deck Construction: Frames and battens are mahogany, and an inner skin of marine certified BS-1088 Okoume laminate coated in epoxy is laid diagonally onto the side frames and battens. 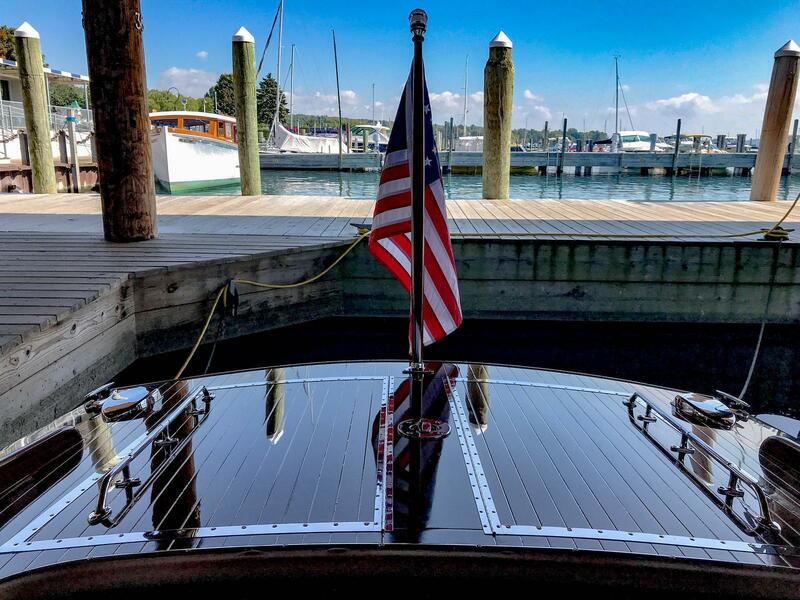 Outer side and deck planking is comprised of 1/2 inch select mahogany plank bedded with a layer of epoxy. 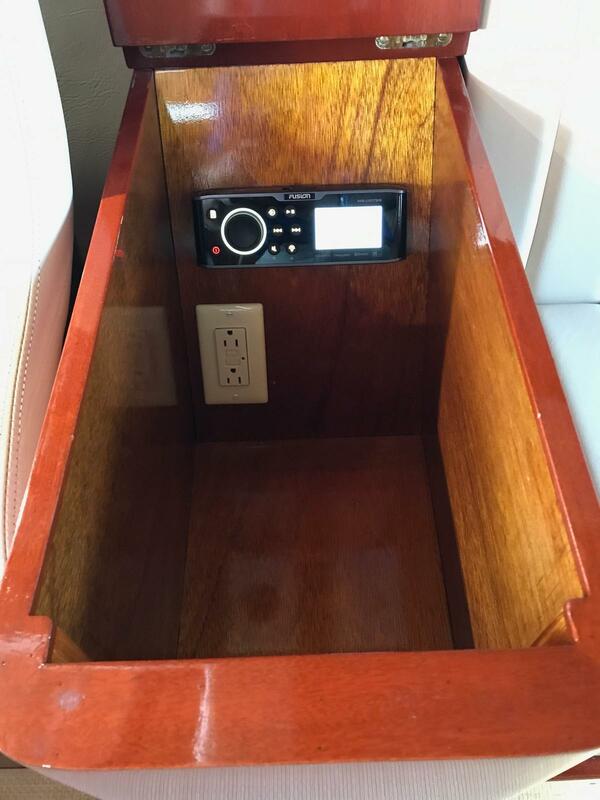 Finish: Hull sides and decks are bleached, stained, and seal varnished. 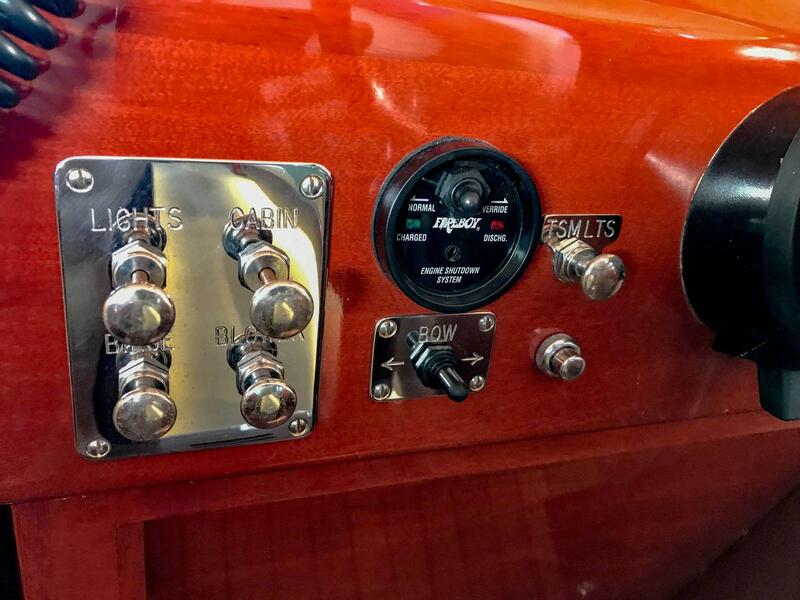 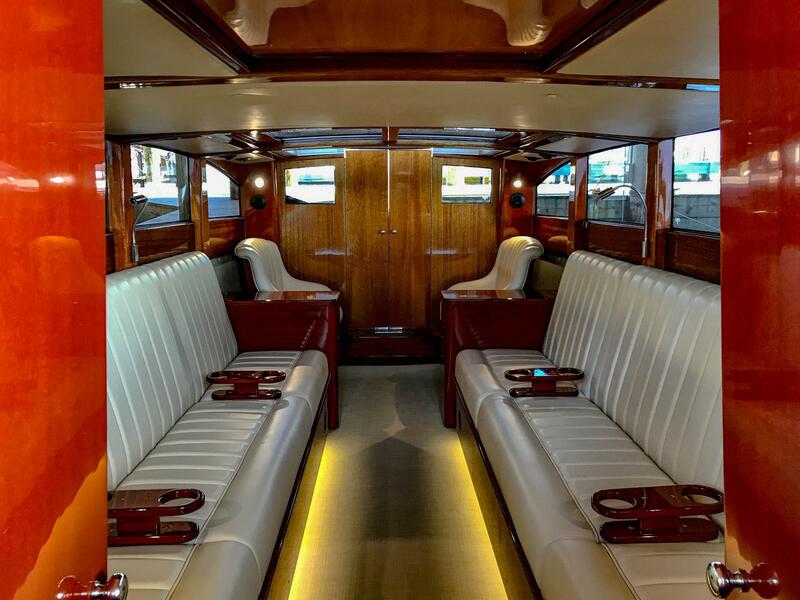 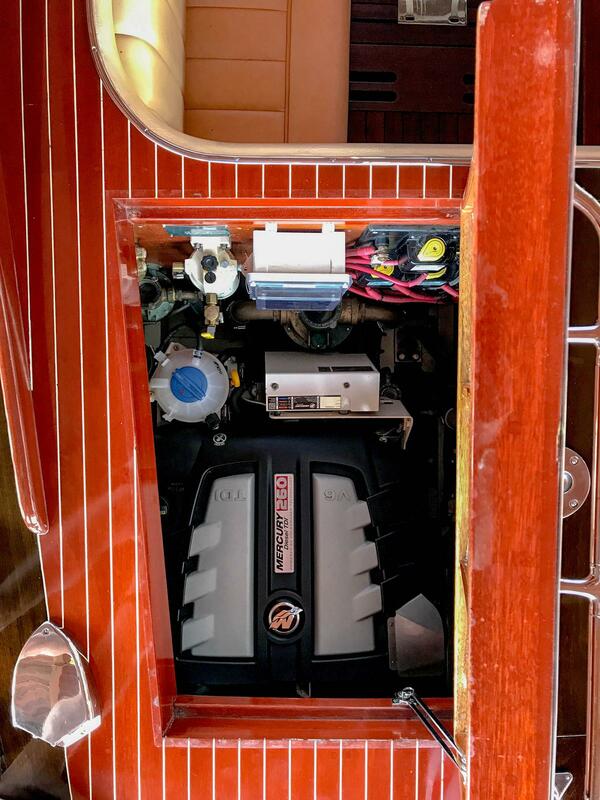 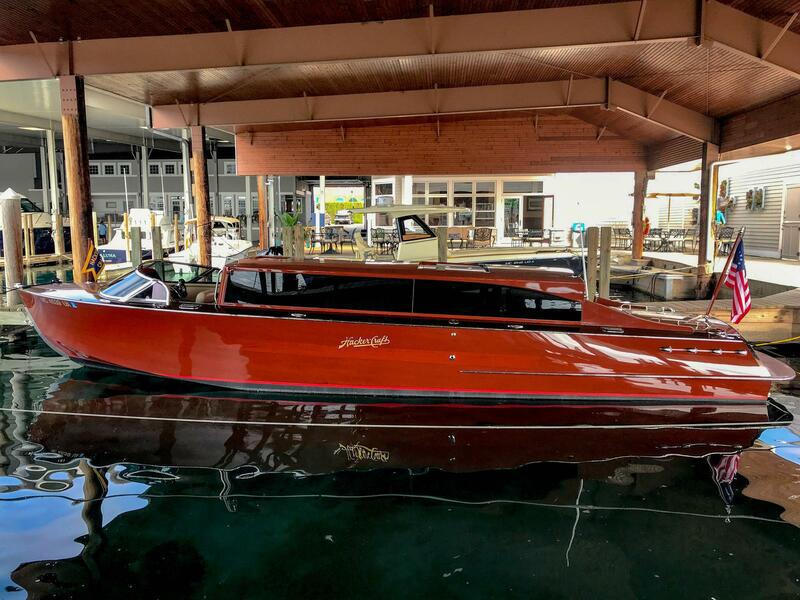 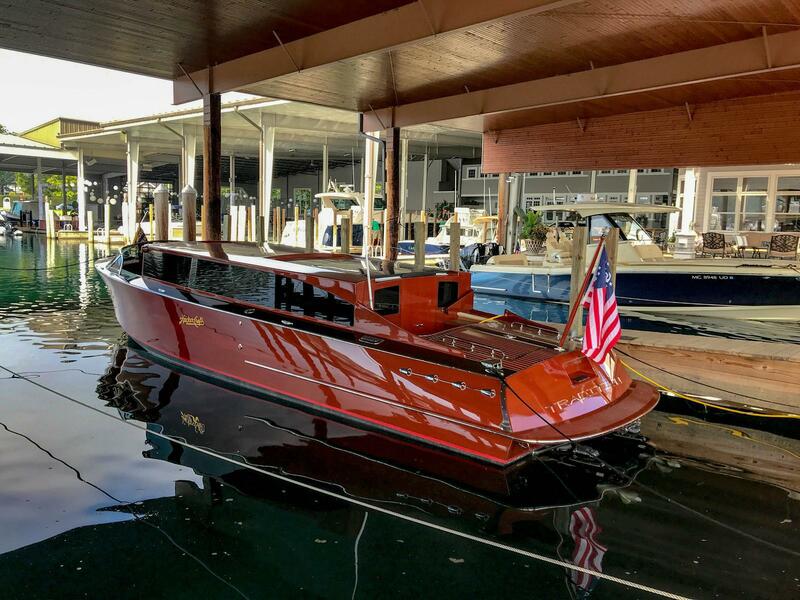 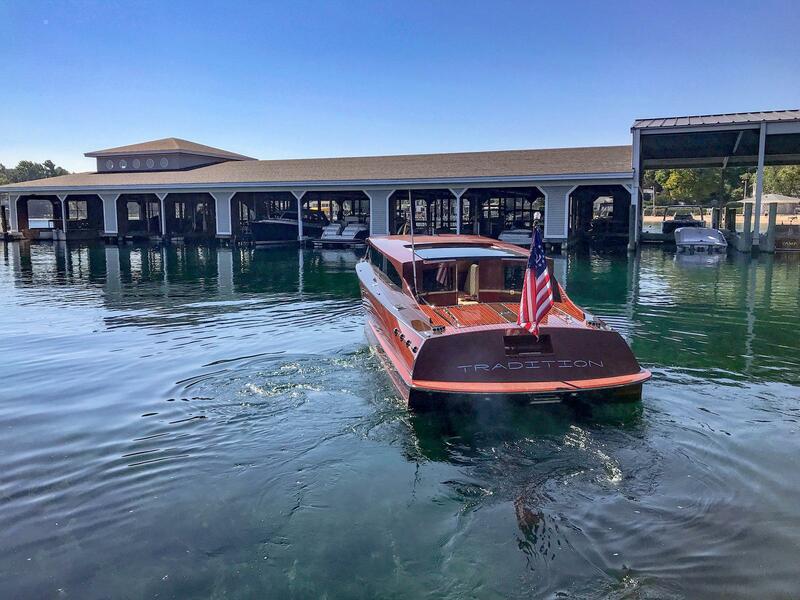 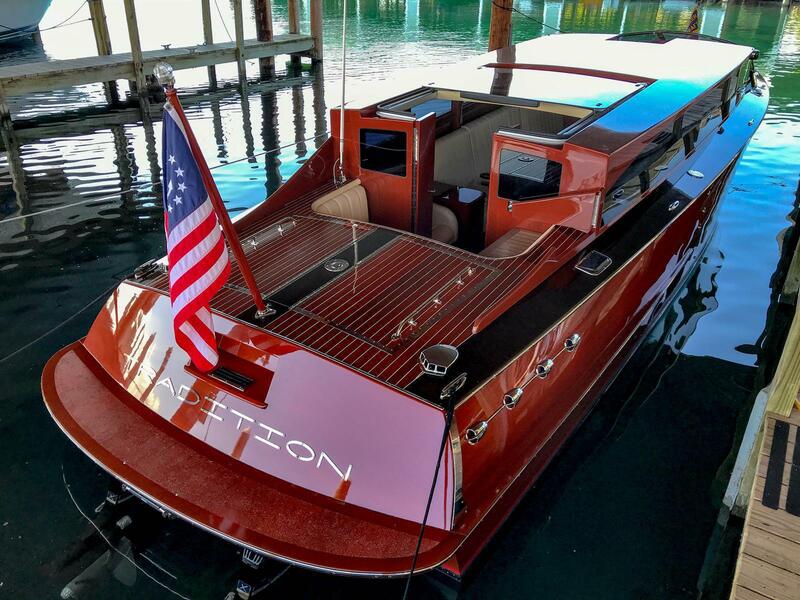 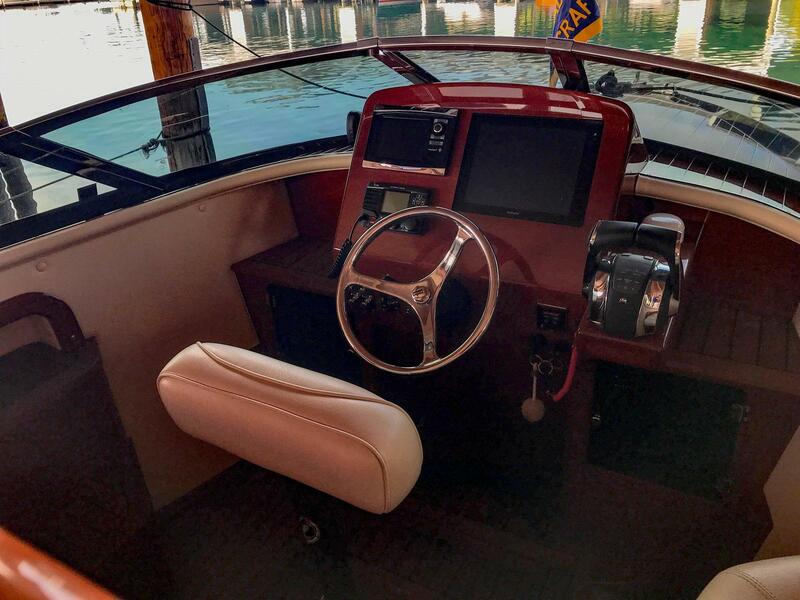 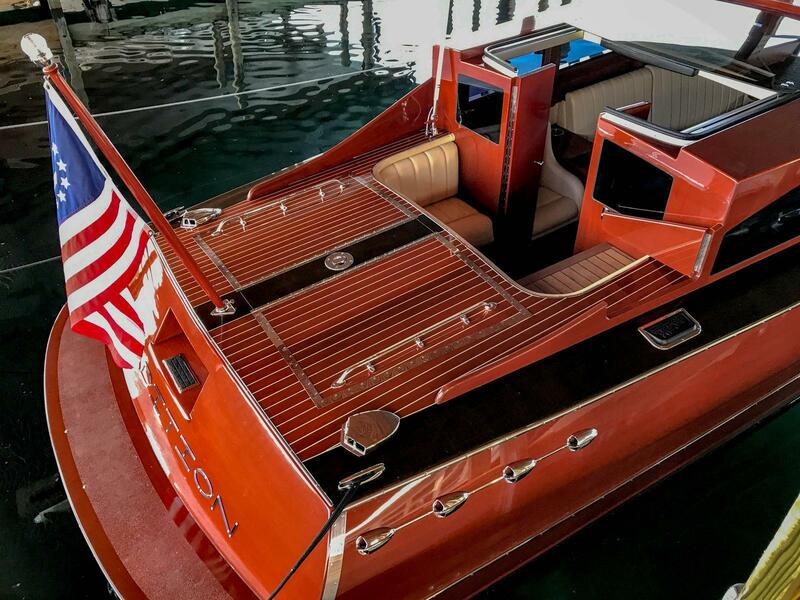 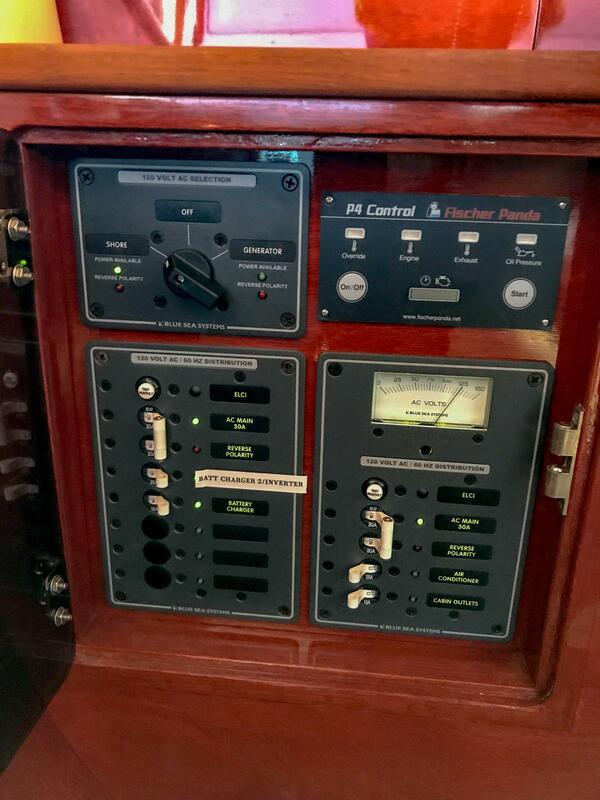 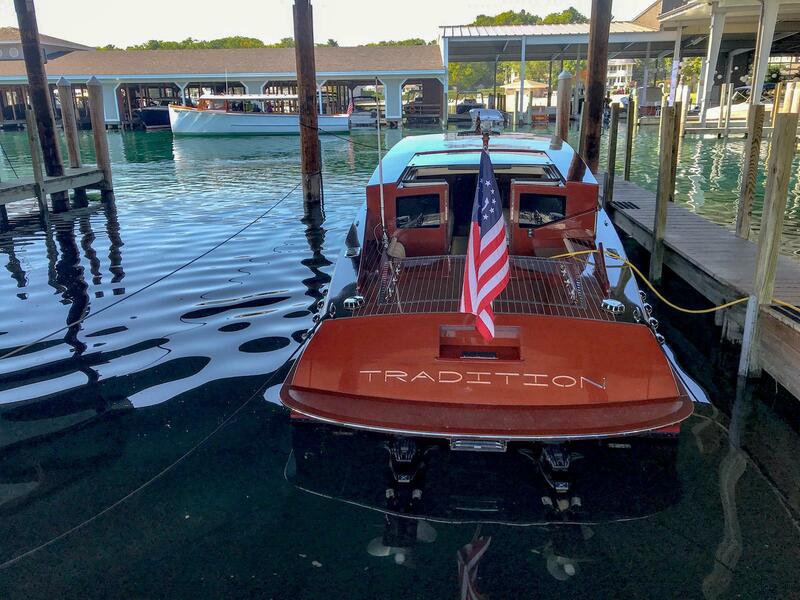 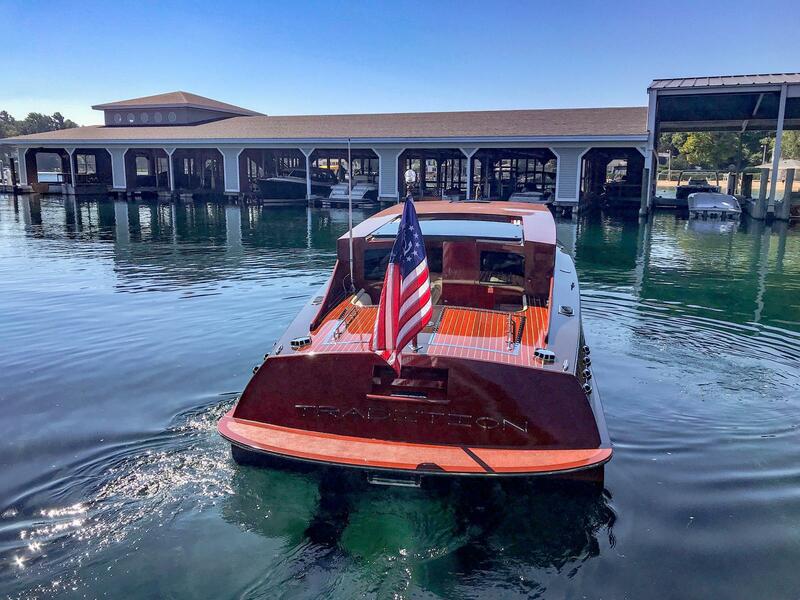 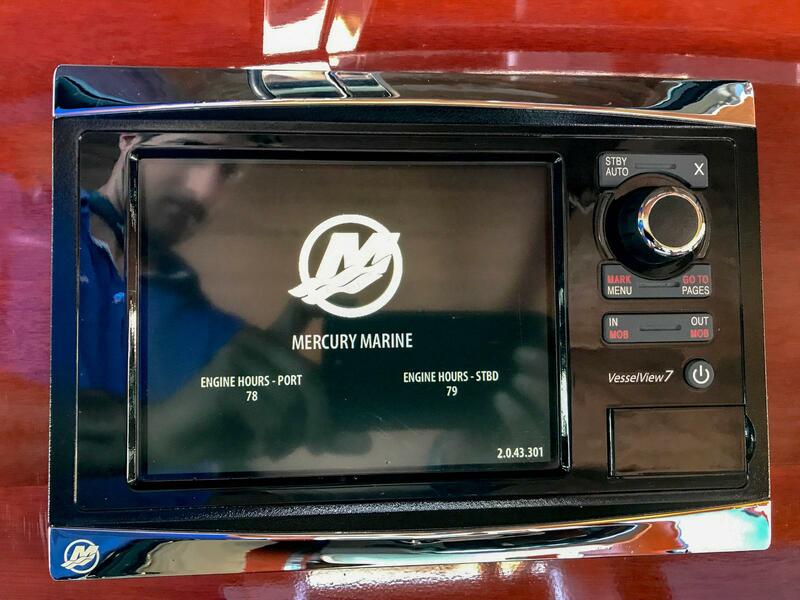 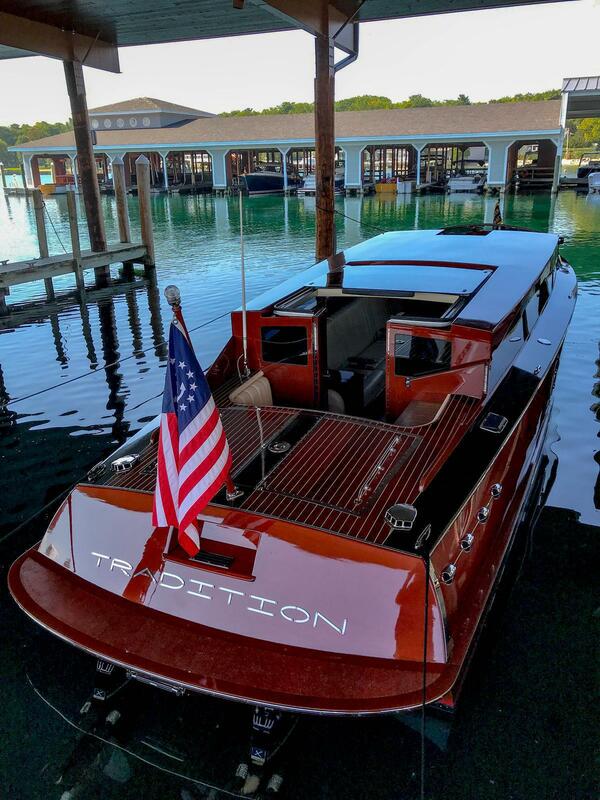 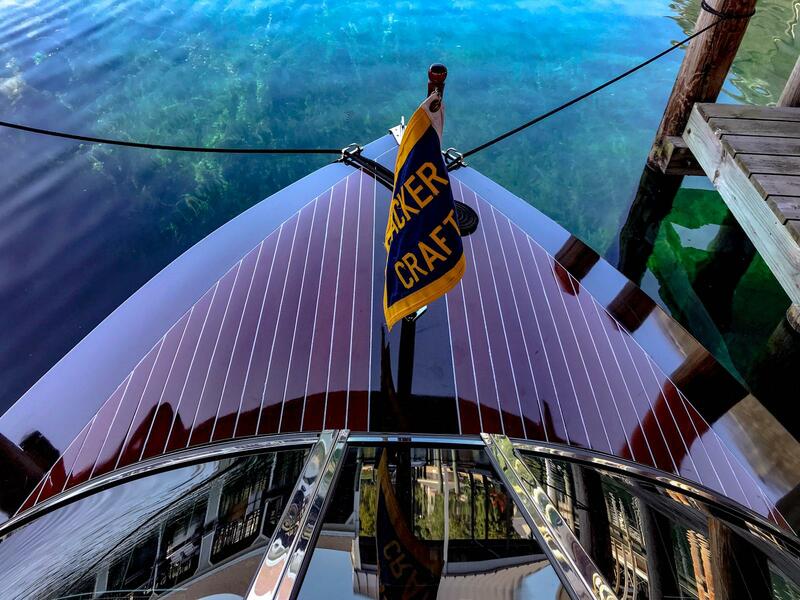 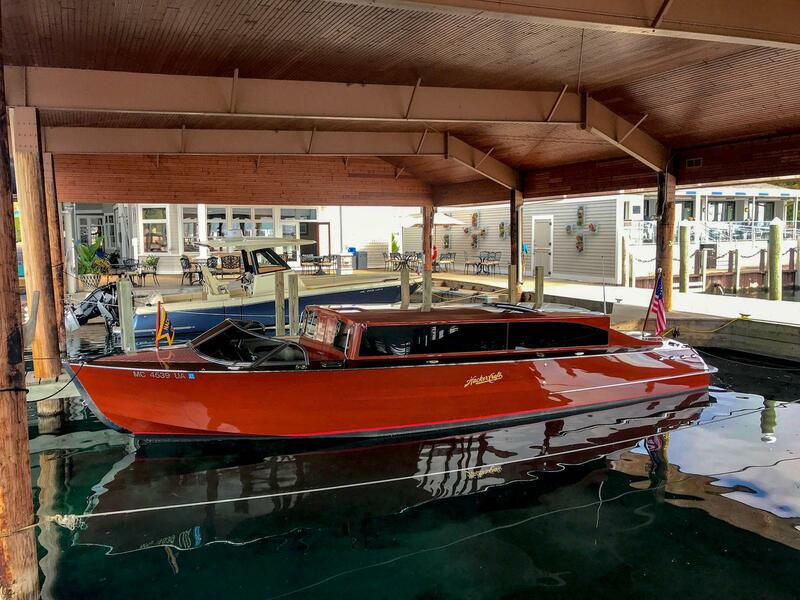 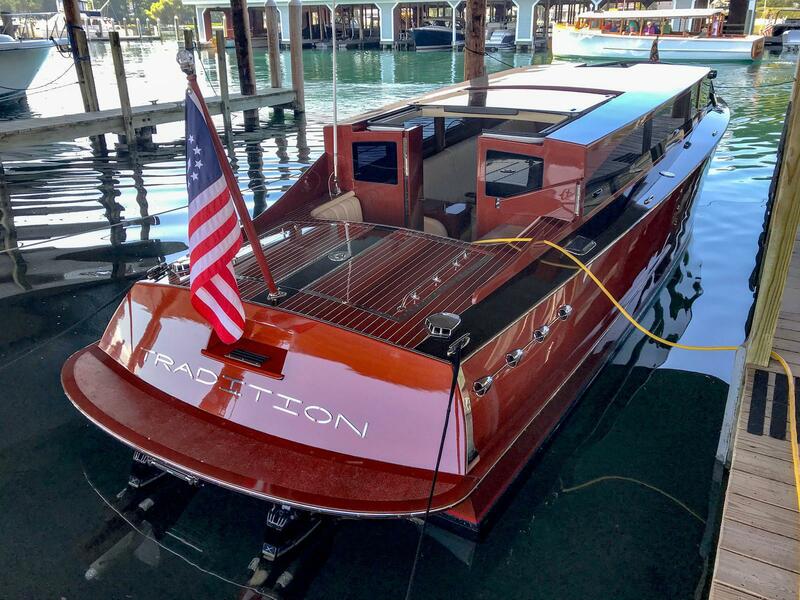 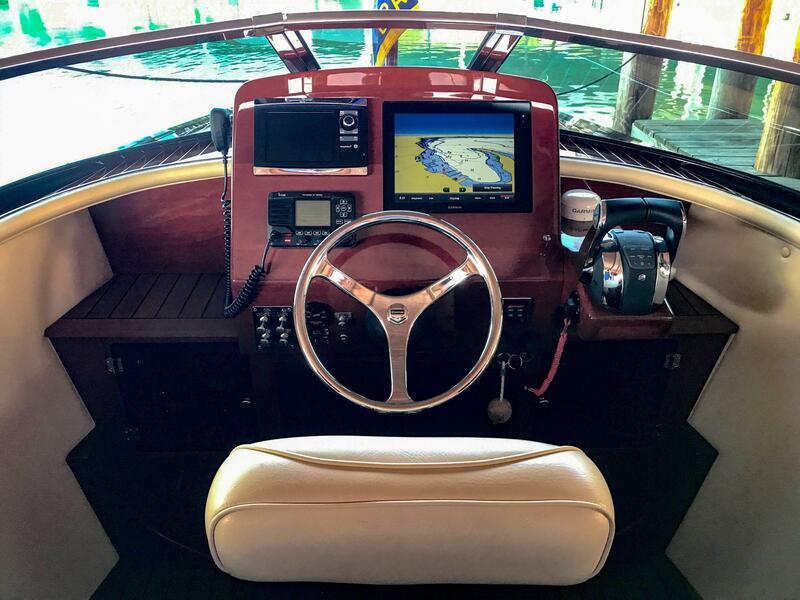 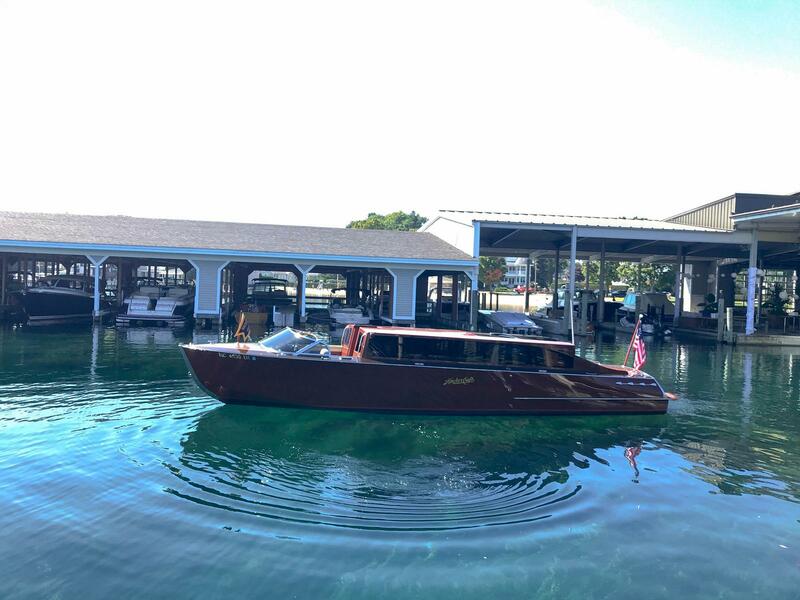 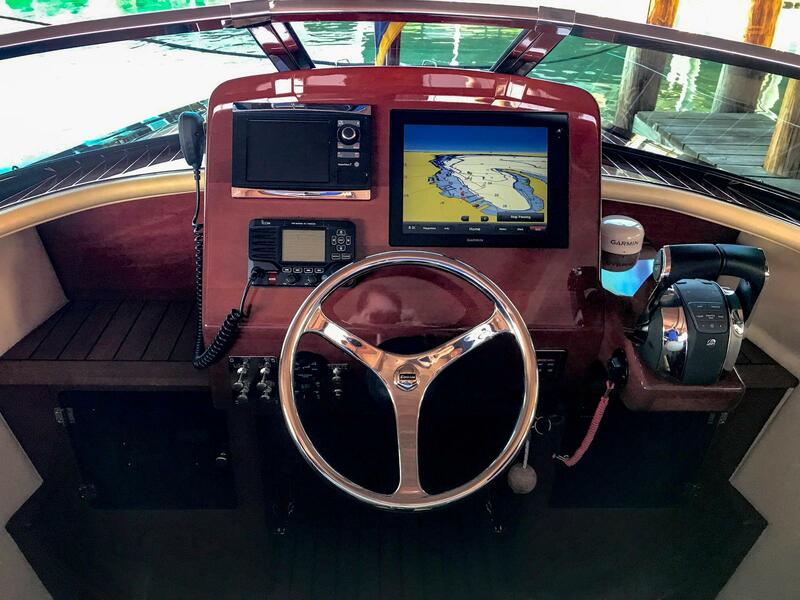 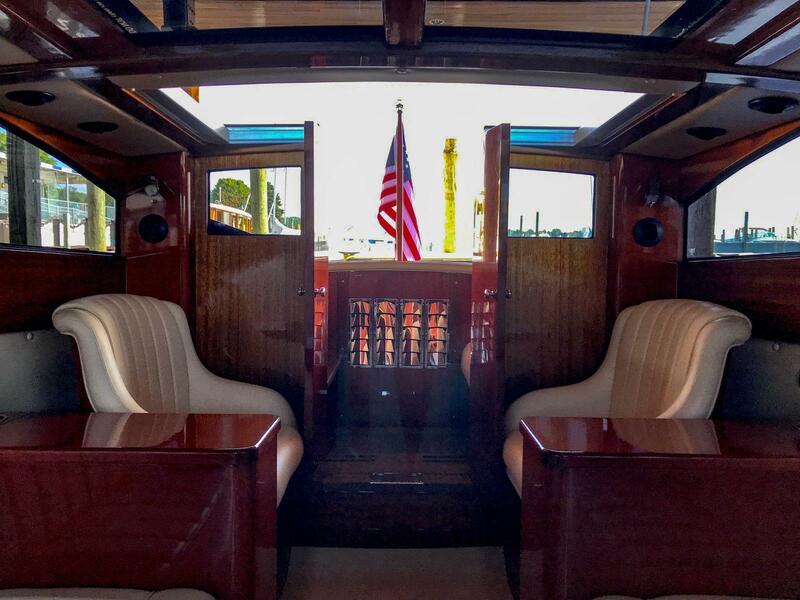 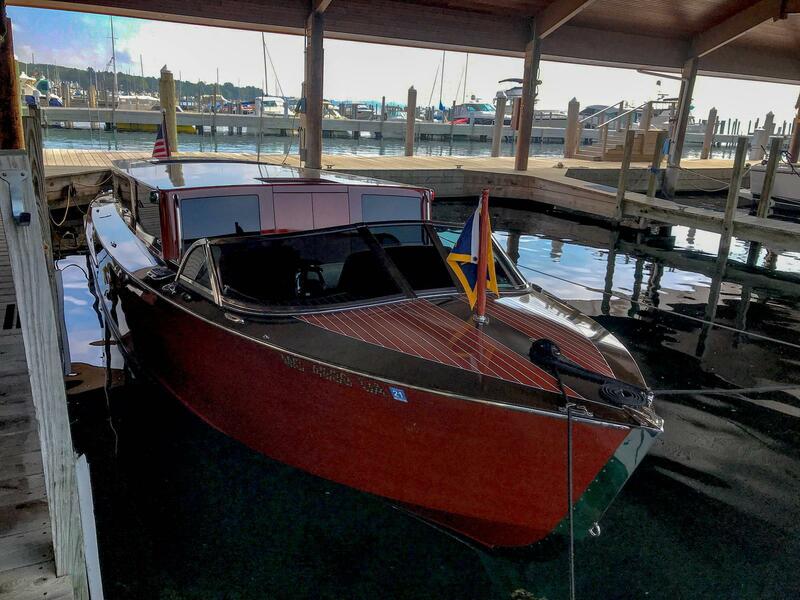 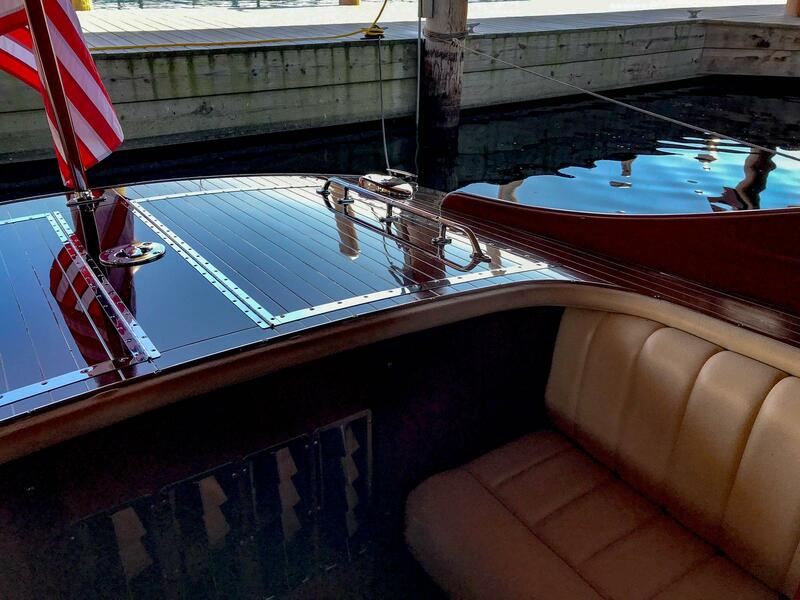 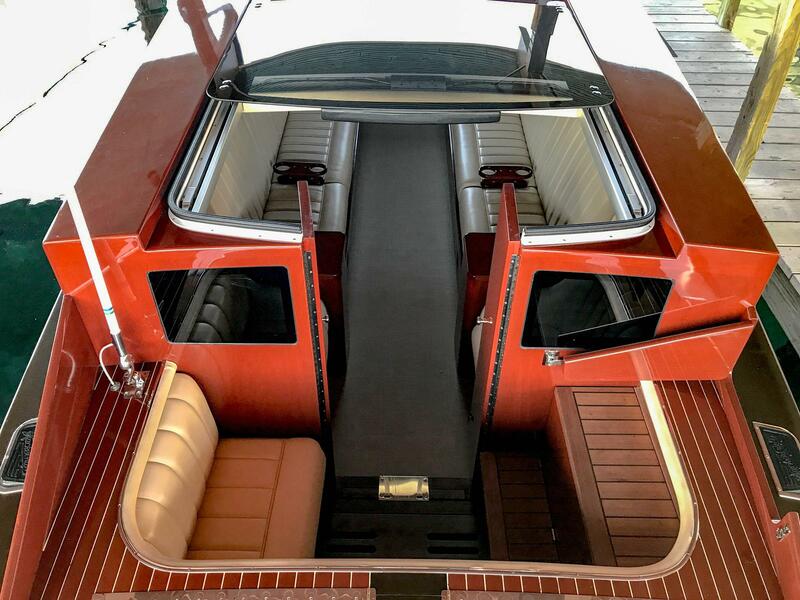 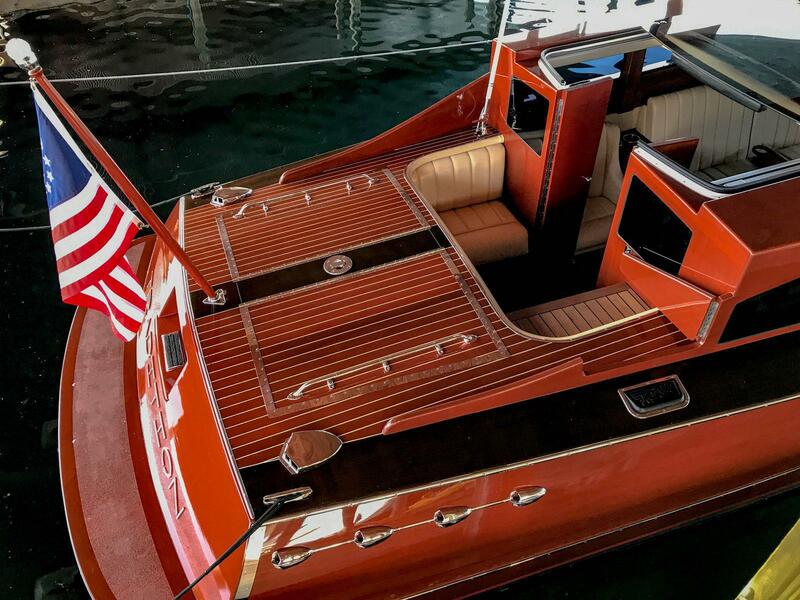 This custom built tender is one of a kind. 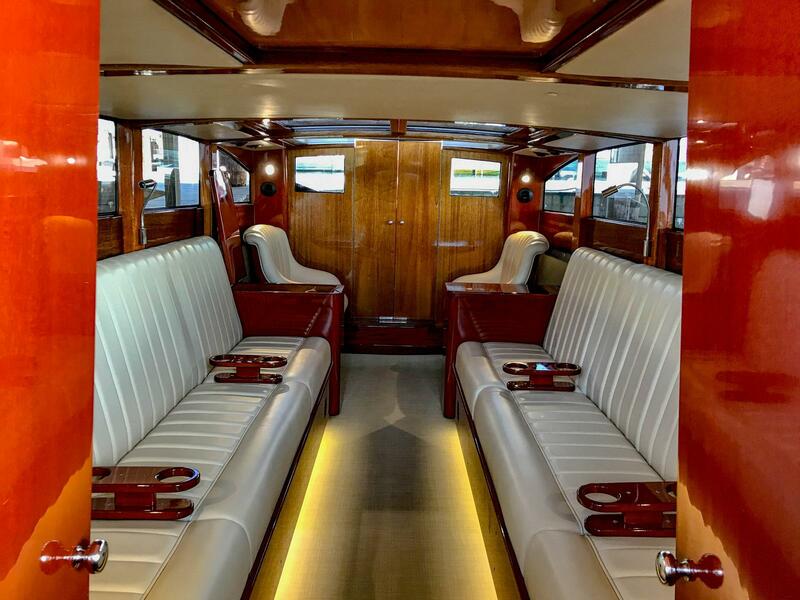 Ready to transport your guests in comfort and safety. 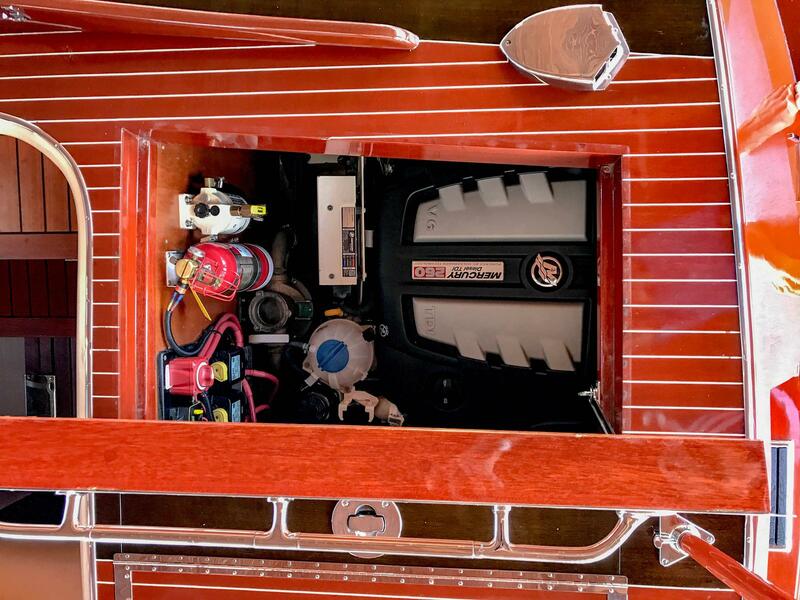 Reinforced lifting points make launch and retrieval easy from either your yacht or from a shore lift. 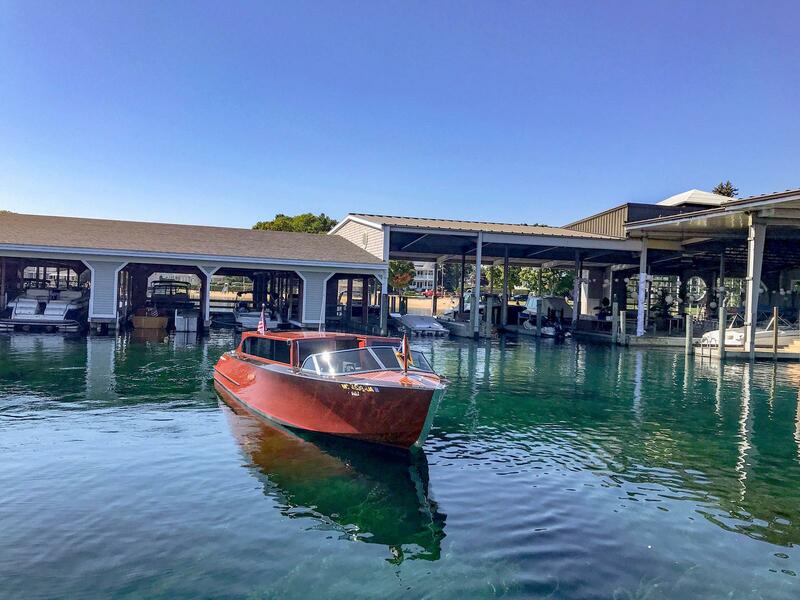 Owners change in plans create a rare opportunity!